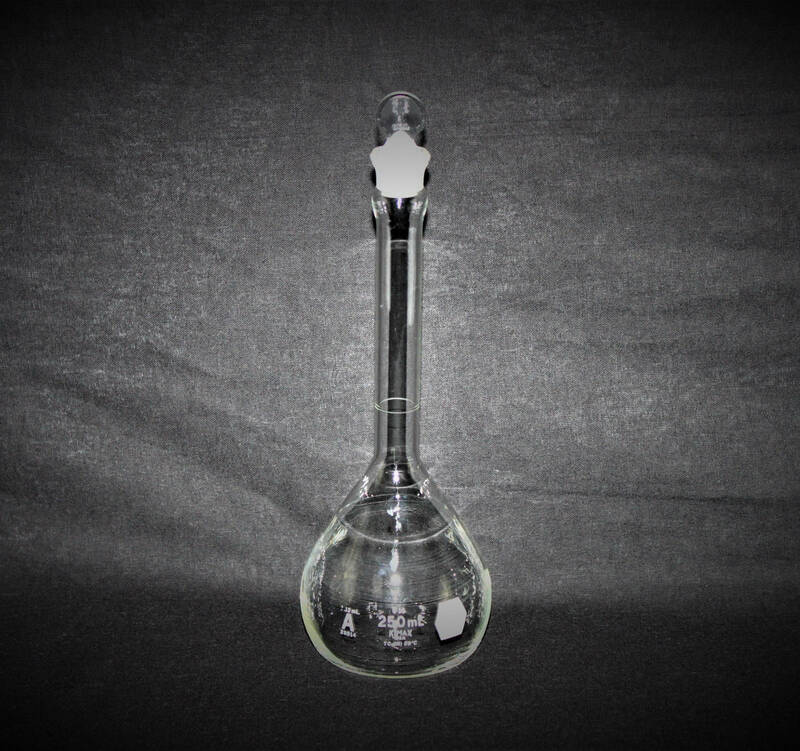 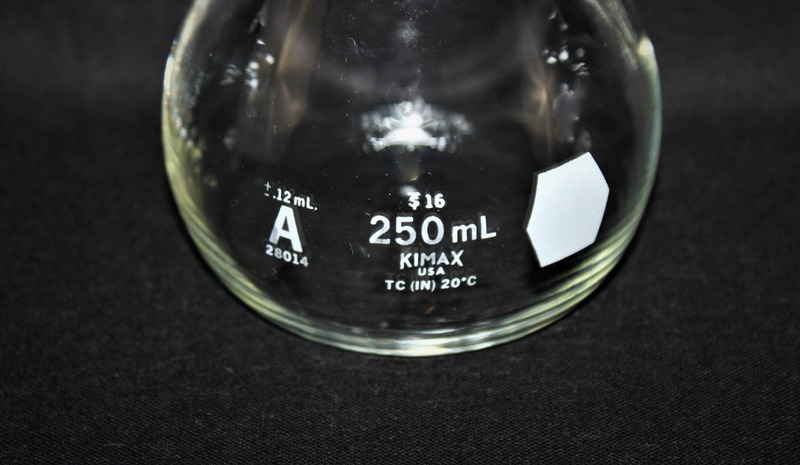 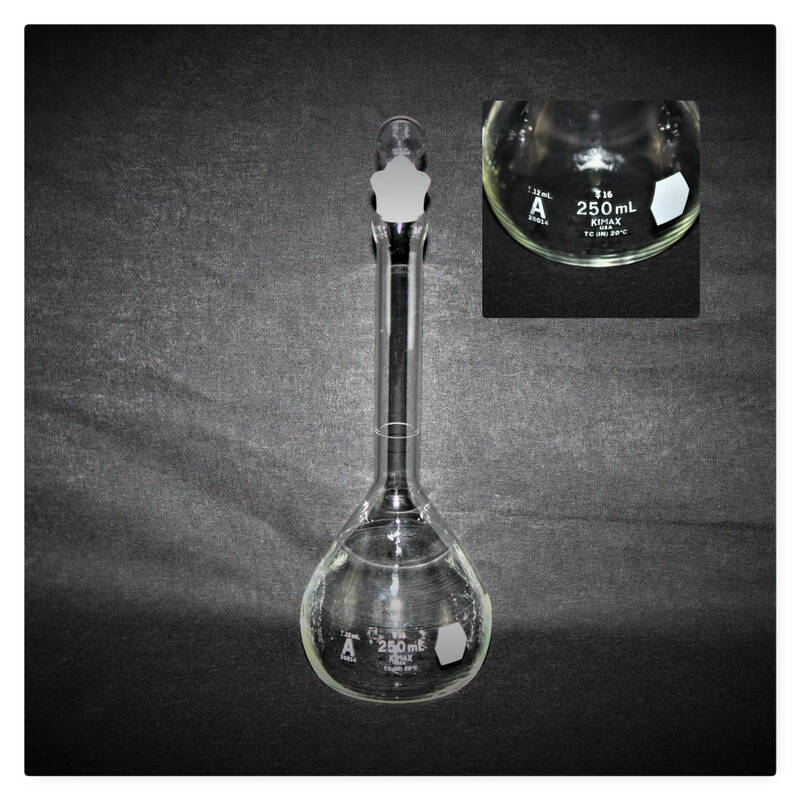 We have for sale a #28014 250ml Kimax Class A Volumetric flask with ground glass penny head stopper. 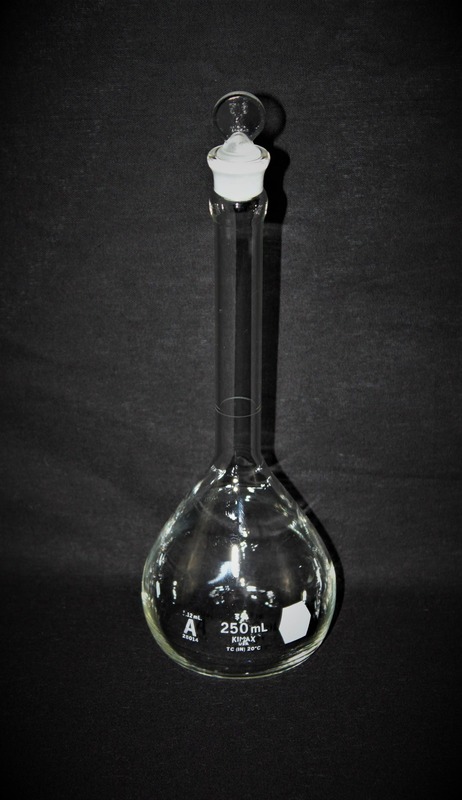 These 250ml volumetric flasks are calibrated to contain +/- 0.12ml when filled to the graduation ring blasted on the neck. 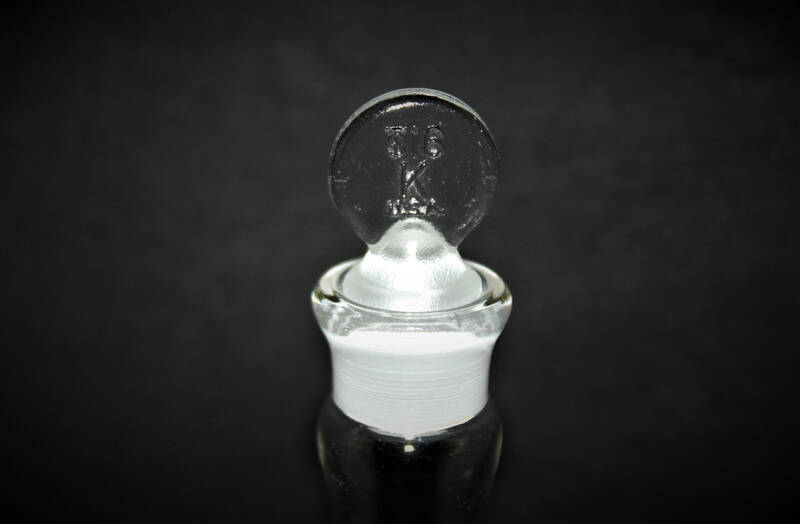 Standard Taper #19 ground glass stopper is supplied with each flask.